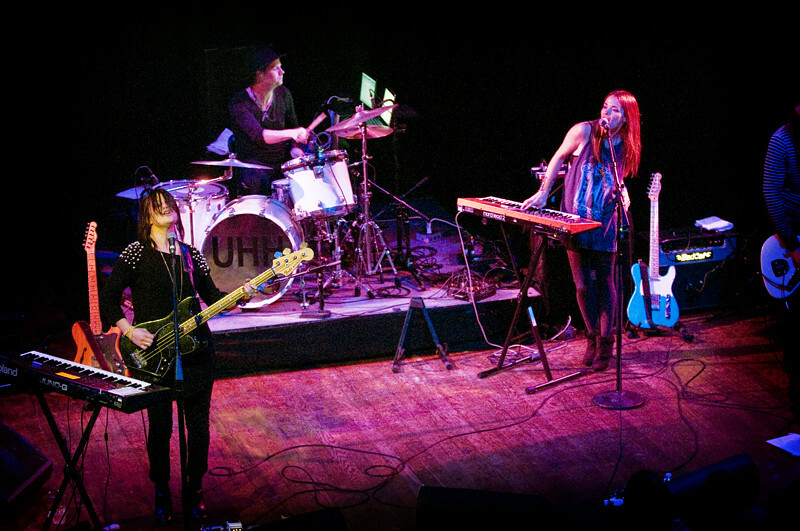 UH HUH HER will perform this coming Monday night, January 9, on ABC-TV’s “Jimmy Kimmel Live,” marking the electro-pop group’s first-ever national late-night TV performance. Tune in on Monday at 12:05 am ET/CT/PT to watch UH HUH HER--LEISHA HAILEY (keyboards, bass) and CAMILA GREY (keyboards, guitar)--perform the electrifying new single “Marstorm” from their sophomore release NOCTURNES (Plaid). The show will also be available for viewing online the following day at: http://abc.go.com/shows/jimmy-kimmel-live. UPDATE: Here's the full performance below. They sing "Marstorm" off their new album Nocturnes. And check out their video below for "Another Casem " also off their newest album Nocturnes which is out now! !